All Pro Exercise Products is the leader in premium quality, weight adjustable, hand-held or body-worn products for fitness, health and wellness. All Pro's patented products have been specially designed by a former leading occupational therapist with health, safety and comfort in mind. 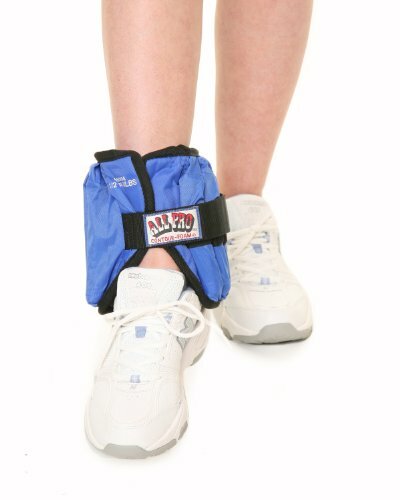 All Pro offers a wide range of weight adjustable products, including ankle weights, wrist weights, thigh weights, upper arm weights, Power Legs competitive sports training weights for lower legs, Power Vest weighted vests, Power Stride weighted belts, a full line of Aquatic exercise products, Weight-A-Band weighted handle resistance bands, Weigh To Jump weighted handle jump ropes, cushioned grip chrome dumbbells, Power Pulley weighted handle door pulley, and more. If you are looking for quality, safety and comfort then choose All Pro Exercise Products.